Before Rudy Giuliani became a cartoon cut-out and a sneering apologist for Donald Trump, he was “America’s Mayor”, the tough-as-nails chief executive of New York City – both before and after 9/11. Sure, he was a stubborn, hotheaded egoist, but when it came to crime, he was Mr. Incorruptible, a dedicated reformer. How rotten was The Big Apple when he took over in 1994? Just four years earlier, it set a modern-day record with 2,245 murders – fueled by a crack cocaine epidemic and roving bands of gun-toting gangbangers. Druggies and other sleaze merchants, minor-league organized criminals turned Times Square into a Hogarthian nightmare, a dangerous den of thieves and crackheads who almost put the world-famous tourist spot off-limits to visitors. But before Giuliani’s law-and-order platform helped stem much of the murder and mayhem, there was the Knapp Commission (1970), which had an even more insidious target: bad cops. This widespread misconduct was captured in all its raw and foul-mouthed fury in the movie Serpico (1973), named after one of the two key police whistleblowers and starring Al Pacino. He was an undercover cop, a “lamplighter,” who wouldn’t close ranks like his fellow officers and helped expose the force’s dark underbelly. His testimony before the Commission won him no fans. When he was shot in a drug raid, fellow officers refused to come to his aid. Although NYC’s current mayor Bill de Blasio is despised by some cops as soft on crime after discarding his predecessor’s “stop and frisk” program, a practice many associate with street checks or carding stops in Brampton, he also won public favour by continuing the “broken windows” theory of policing, implemented by Giuliani’s police commissioner, Bill Bratton. By cracking down on the minor offences (break-ins, etc.) this helped prevent the more serious ones. It also assisted cops in interacting with the public and building relationships – the very foundation of community policing promoted by Sir Robert Peel, namesake of our region and its police department, when he started a modernized force in London, England, in the early 1830s. Last year, the murder count in NYC was fewer than 300. While NYC’s stats plummet, Brampton’s move alarmingly upwards. We’ve just lived through the summer of the gun, as deaths from firearms sent a chill through the community. If 2017 checked in with the highest number of shootings yet, by the middle of the recent campaign for mayor the rate was worse, up 11 percent. Multiple bank robberies in the same hour, double homicides, a restaurant bombing and violent gang activity left residents across the city in fear. This prompted then candidate Patrick Brown to form a task force on crime and to ask why Brampton had only 133 police officers for every 100,000 citizens, markedly lower than the Ontario average of 189. During that same time, Mayor Linda Jeffrey, a member of the Police Services Board, told regional council she was sending a letter to Michael Tibollo, the new minister of community safety, asking for more assistance. Later on, it was learned that Ottawa planned to dedicate $200 million to the provinces to fight gun and gang violence and a further $86 million to help seal the borders against an influx of illegal firearms. Toronto was also getting $25 million from Queen’s Park as its violent crime stats spiked, though not as high as Brampton’s. Is our region getting its fair share, and if not, why not, and how can we improve on our Community Safety and Wellbeing Plan? These questions – and others – might be brought up at this Friday’s Police Services Board meeting. What is most disquieting, however, is the level of misconduct and incompetence on the Peel Region police force (named after Sir Robert). These problems show no signs of dissipating. Which begs the question: Do we need our very own Knapp Commission? The Peel Regional Police service (third largest municipal force behind Toronto and Calgary) might want us to believe it is one of best in Canada, but evidence (that appeared in a two-part expose in The Pointer this September) suggests otherwise. • Misconduct: Over a recent five-year period about 640 of the roughly 1,800-strong force had been disciplined for misconduct – by far the worst stats of any force in Ontario. 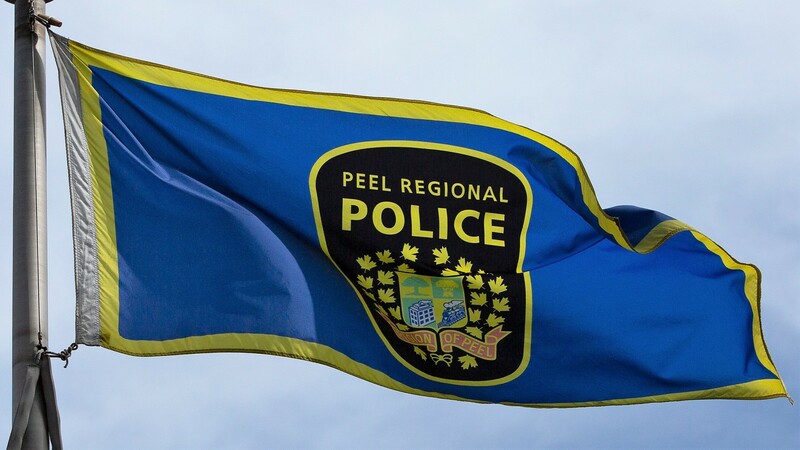 • Diversity: A recent report concluded that only 13 percent of PRP officers are visible minorities, compared to 74 percent of residents in Brampton. • Racism: While roughly 9 percent of Peel residents were African-Canadian, in a recent five-year period 25 percent of those carded by Peel police were black. That meant black citizens had almost three times the chance of being stopped compared to whites. • Racism, 2.0: In 2013, a highly respected and heavily decorated detective-sergeant named Baljiwan (BJ) Sandhu, who was born in India, spoke four languages, and had put in 872 hours as an acting inspector, was denied the chance to compete for a full-time inspector’s position – which fueled a Human Rights Tribunal case and a ruling that found the force discriminated against him and had devalued policing in the region’s huge South Asian community. • Incompetence: After Peel police botched the investigation into the suspicious deaths of three members of the Harrison family, the force’s investigative incompetence and its lousy forensics left family members and critics of the force asking: Can Peel’s finest carry out complex cases? • Leadership: When the Police Services Board asked Police Chief Jennifer Evans to stop the carding program in 2015, she refused. Also, a provincial police watchdog investigation into possible misconduct by her following the Harrison deaths is ongoing. The police board, which oversees Evans, authorized the probe into her conduct in the badly handled case. • Alleged Criminality: A two-part series in The Pointer, published this past September, highlighted charges laid against officers for theft, fraud, and assaulting civilians, among others. • The Abyss: In 2016, Peel officers subdued a 6-year-old girl by putting cuffs on her feet and hands at a Mississauga elementary school. The Pointer used Forum Research to conduct a poll earlier this year, which surveyed 999 Bramptonians who were asked: Do you feel safe? Only 45 percent said yes. More troubling, in response to the question, “Do you feel safer than four years ago?” only 10 percent said, yes. Another survey question asked Brampton residents whether they felt Peel police were doing an adequate job to keep them safe. Only 45 percent said, yes. André Marin, the former Ontario Ombudsman, concurred. “The Peel police have a complete disdain for oversight,” he said. Then added, rather cryptically: “the fish rots from the head.” Meaning: Evans and management were very much to blame. Less than half the force’s officers disagreed. In a workforce survey taken in 2016, only 49 percent said senior officers in management were doing a good job running the force. That management is about to change dramatically because on January 11 of next year, Evans will retire. It was an announcement that caught many in the rank-and-file by surprise. It’s clear Evans has little interest in modernizing and leading the charge to transform the troubled department into a progressive force that polices two of the most diverse cities in Canada. After she refused to suspend carding, even though both mayors, Bonnie Crombie and Linda Jeffrey (who sat on the police board that oversees her) directed her to do so, Evans suggested this summer that the new provincial regulations on carding are to blame for Peel’s crime wave. She made the wild claim without any evidence to support her assertion and knowing that the vast majority of Brampton’s visible minority residents do not support the way carding was being conducted under her watch. The force’s recent carding statistics essentially prove how resistant to progressive policing Evans and her senior officers are. In 2017, after Peel officers conducted 26,000 carding stops the previous year, the figure evaporated, as only 2 such stops were conducted. Even though the new provincial regulations allow the practice, but prevent police from using it to racially profile specific groups, namely young black men, Evans effectively stopped using a tool she could have still deployed, one she claims is a huge benefit to investigations. If it really is the case, that carding, according to her, is so effective as a policing tool, and she can still instruct her force to use it, as long as officers do it properly, why is Evans claiming that violent crime is spiking because of her decision to not use a tool that she’s free to use? Another concern is Evans’ acknowledgement that the crime wave is directly linked to police presence. She says if her force could card, which it can, violent crime wouldn’t be on the rise. What she’s suggesting is that police cannot engage members of the public, even though they can. If an officer in such an engagement suspects something untoward or becomes suspicious of an individual for any legitimate reason, the encounter can shift to an occurrence and a potential detention scenario, with the officer using the proper understanding of laws that allow them to investigate. Evans seems to be suggesting that this is no longer happening. Why not? Critics of carding say it’s a bad tool, too often improperly used and being defended only by those in policing who don’t understand how to train highly skilled officers in the most sophisticated investigative techniques while using cutting edge technology and the number one weapon against crime – members of the public who trust the officers they work in partnership with to protect the entire community. Evans doesn’t get any of it. Rampant misconduct on her watch, a force that doesn’t reflect the people it serves and a fundamental trust that has been broken, have left many Brampton residents wondering how the violent crime problem will be solved. Which begs an even bigger two-part question: who will replace her, and will the new chief be an in-house hire? It’s clear from the accumulating evidence of dysfunction in the force, that the head-hunters hired by the Police Services Board should be looking outside. In Montreal, for instance, only days removed from a report that stressed the importance of choosing a candidate who could steady its police force’s “fragile” work climate, Sylvain Caron, a former assistant director of the Sûreté du Québec was chosen. The Montreal Gazette reported that after a one-year effort to reform the troubled force, two possible replacements were considered, including Caron, the progressive outsider. The rising violent crime stats were front and centre in the recent mayoralty race in Brampton. Patrick Brown, the eventual winner, ran on a platform offering up reasons why a new approach to policing in Brampton had to be a top priority at the region and the Police Services Board, where he will now sit as Linda Jeffrey’s replacement. A new-look Police Services Board is now charged with picking Evans’s successor, one of the most important decisions in the region’s history. After Evans was named chief six years ago, there was talk, when the troubles began to mount, that Toronto’s deputy chief Peter Sloly, a progressive cop, might be a better fit. He’s now gone on to be a star in the civilian field as a security expert with Deloitte. It’s his kind of smarts and openness that can turn a dysfunctional force around. Peel’s desperately needs new blood to transform it into a modern department that can combat incredibly complex criminal elements using technology and sophisticated techniques in an increasingly global atmosphere. Some internal cleansing might be the first order of business. Transparency International UK released a report entitled ‘Arresting Corruption in the Police’ and leaned on The Knapp Report to show that a much-discussed typology divided corrupt officers into three general categories: grass eaters (accepting bribes and free gifts), meat eaters (those who actively pursue corrupt activities for personal or departmental gain), and birds (who fly above the corruption and shelter in high administrative positions where, one day, they’ll play key roles in protecting the culture). Peel has already had its fair share of meat eaters, including: Craig Wattier (breach of trust and fraud), Mark Androlia (money laundering and fraud), Carlton Watson (40 counts of fraud), Sheldon Cook (sentenced to five years in jail, for assault and seven other convictions including receiving over $500,000 in cocaine), and the three off-duty officers who savagely beat a 62-year-old man. There are too many more to record here. A holistic approach to stemming misconduct and institutional racism by using tools from a soon-to-be-released diversity audit, the eliminating of carding as a useless investigative crutch that destroys community trust, having the Police Services Board take seriously the need for the force to reflect the diversity of the community and naming a new chief in sync with the board’s overall goals, are what will drive real change. And there’s never been a better time for it. There is a new mayor in Brampton, a major reformer and progressive in Mississauga Mayor Bonnie Crombie, who will rejoin the board after a two-year absence, replacing Councillor Sue McFadden, an Evans favourite, a new regional chair to be elected in early December, and that means a new-look police services board. Police are, by nature, a tightknit group and are often pulled together by the uniqueness of their job and the ongoing fear that the next call to an incident might end in violence, or even death. In a September meeting of regional council, that need for safety was discussed at length. While Evans was expected to be there to discuss rising crime, she was a no-show, but the consensus among the councillors was to give the police all the funds needed to help eliminate the worst crimes. New York City in the ‘70s, proved more cops didn’t mean safer streets, but just more corruption. It also proved that if the underlying reasons for crime (a spike in gang violence driven by drug wars) aren’t addressed, along with long-term solutions like helping kids stay out of gangs through improved recreation programs, or understanding how to tackle the changing complexity of crime in a highly diverse region or partnerships aren’t formed between police and the public, then nothing positive will get done. Police had to learn that by taking a tough stance on every small act of unlawfulness in a community they were also helping drive down other more serious crimes. Has Peel produced its own ‘broken windows’ program? Not yet. Has the mix of gangs and drugs and street crime been faced in any meaningful way? The statistics suggest, not yet. As old problems become more acute, new ones arise. Mental illness is now eating up over 40 percent of the police calls every day. How can we solve all this societal suffering that is manifesting itself in more work for rank and file officers? That’s a huge question, that will take much effort for a whole list of players. Studies of modern-day policing show that what is needed most is a flexible, diverse officer corps, working in close concert with the community, and government agencies giving them the resources needed to get the job done. If New York City can find a way to seal off its streets from drug-fueled crime, driving down its violent crime stats since the dark days of the 1970s, then Peel can do the same thing. It will take a buy-in from the cops, community, political leaders, and a continuous reimagining of what makes things better, and safer. It’s not about getting softer or harder on crime, it’s about a holistic approach that solves crime now, and prevents it in the future. Yes, NYC Police Commissioner Bill Bratton changed the arc of crime in his city, and then took his crime-fighting philosophy of sweating the small stuff (respond to broken windows) to Los Angeles, where he also drove down the numbers. Bratton was an outsider, a great hire in both New York and LA. He brought a new philosophy and vitality to forces that were groaning because at their core, they were plagued by a culture that closed ranks, especially when officers were on the wrong side of the law. Peel needs an outsider who can fill the role of chief and be a change agent. Violent crime is shattering this city. When head-hunters whittle their picks down to replace Evans, candidates should be open to change, committed to diversity, eager to partner with the community, skilled in the techniques of modern policing and dedicated to giving taxpayers a better return on their dollars. Peel Regional Police might be the third largest municipal force in Canada, but until the evidence becomes clear that it is also one of the best, not one of us should be happy.